“For the past 15 months, our team has run hard, worked hard, and given people something to believe in. We built a campaign worth fighting for. We focused on the issues, we were honest with people, and we showed tens of thousands of Ohioans that politics and politicians can be about something real. “We knew we were underdogs from the start, but that never bothered us, because we had plans and policies that would make life better for the families we’ve met throughout the state. We’re proud to have inspired so many voters, many non-traditional, with our positive attitudes and message. We’re honored to have built a campaign capable of welcoming Bernie, Hillary, and Trump voters into the fold. That is what Ohio wants, we just didn’t have the resources this time around to let them know it was out there. 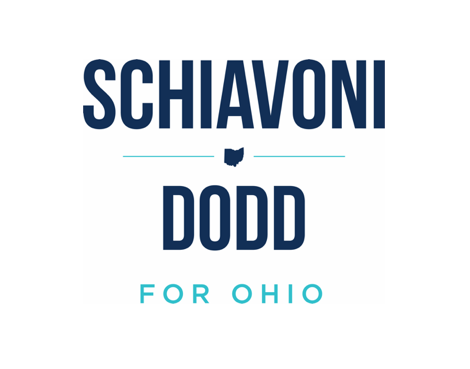 “Joe will continue to work hard in the Ohio Senate, and Stephanie will do the same on the State Board of Education. We’ve both given everything we’ve got to create positive change in these positions, despite being in a deep minority. And we’re proud to have made a difference in people’s lives. It’s exciting to think about what we can accomplish for this state going forward. “We both also have young kids at home. We’re trying to teach them to be honest, to work hard, and to never give up. You have to lead by example, so that’s exactly how we ran this race. think about what we can accomplish for this state going forward.